Hello, gorgeous. Can furniture be both practical and beautiful? Sure can. Cocoon combines fabulous function with fantastic form. For Cocoon is available with the tried-and-trusted SCA3 and BRA2 systems – which are fully integrated, and concealed behind a fabric front. Cocoon, like all Spectral furniture, gives you intelligent cable management. For Spectral Sound systems SCA3 and BRA2. 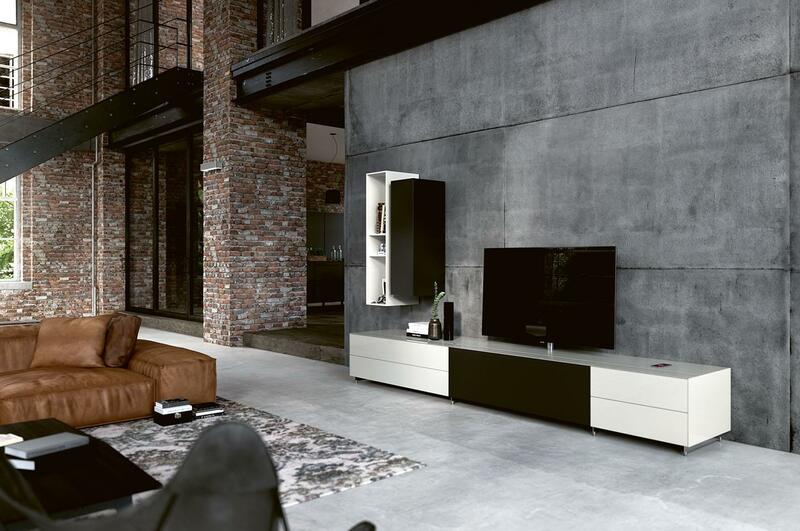 Cocoon liberates your living room – by putting your audio and video equipment out of sight. Starting with your speakers: fabric fronts hide them away, but let you enjoy the sound to the full. 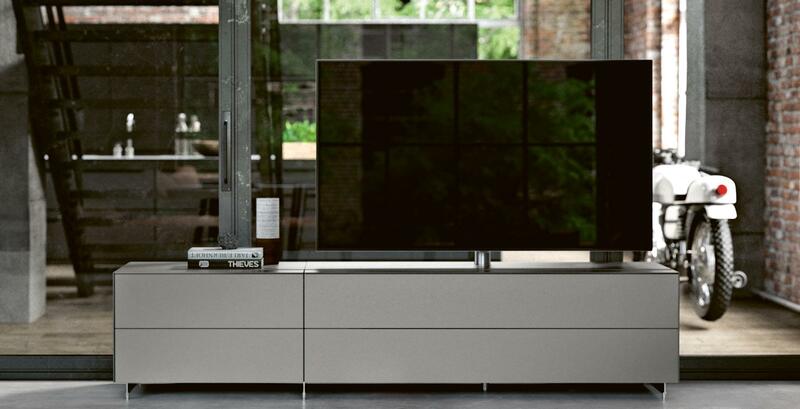 The interior of the unit can be flexibly configured, allowing you to position sound projectors, subwoofers and centre speakers as you wish. And the optional opening in the base allows you to operate downfire subwoofers inside your Cocoon. The pivoting universal TV mount is suitable for practically all leading TV models. Download the Cocoon product portfolio in pdf format.